It’s Japan: it’s worth the trip. If you had to narrow down your bucket list, Japan should have a place in any final round. There’s arguably no place on earth where you’ll find more fascinatingly polite and respectful people, mind blowing food or eclectic sights. GSTP rarely travels anywhere twice, but chooses to return to Japan year after year – if it’s any indication. Today, there are fantastic flight deals to Japan, with prices from both coasts under $500 round trip. One of the best tips to finding cheap flights is to search multiple sites. We searched Google Flights to get a ballpark on prices, but knew Momondo, one of the best booking sites for finding cheap flights might show lower prices – and sure enough, they did. You can find round trip flights to Tokyo and Osaka starting at just $485 round trip from both coasts, including New York, Seattle, Vancouver, Washington DC and Los Angeles. Japan is lovely in the fall, and so are the prices. The best deals are available in late October, November and early December of 2018. Other great prices may exist on different dates, but this is when we found the best flight deal prices easily. We’ve made easy to use Google Flights links below, which take you directly to the best deals, where you can simply change the dates to find something perfect for you. Here’s a little preview of a perfect trip to Tokyo, and one to Kyoto too. And here are a few things to know before you go. Oh and here’s how to not eat sushi like a jerk, so you look like a cultured traveler. 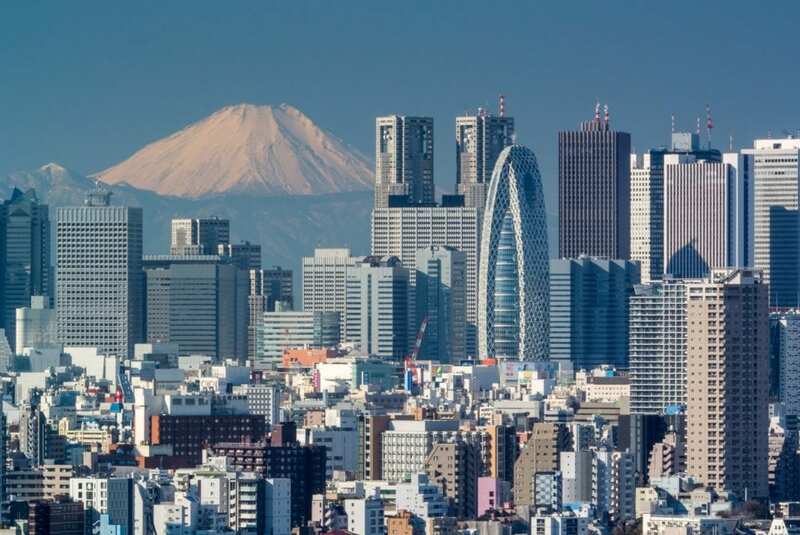 Now that you’re polished up, here are the best round trip flight deals, like: $494 Los Angeles to Tokyo, $497 Los Angeles to Osaka, $499 New York to Tokyo, $488 New York to Osaka, $503 Vancouver to Osaka, $537 Chicago to Tokyo, $566 Washington DC to Osaka and $648 Seattle to Tokyo on Alaska and Singapore. Be sure to wait until the results finish loading – the best prices come last! Enjoy Japan! Are you jet setting to Japan?